Holy crap! 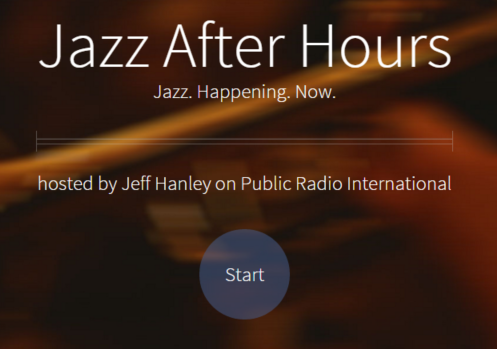 We’ve been played on Jazz After Hours 3 weeks in a row? It’s actually been pretty freaky for me to hear myself on this broadcast as this is a program I have listened to for over 20 years. No disrespect to Jeff Hanley (who has done an incredible job with the program), but I just keep waiting for Jim Wilke’s voice. 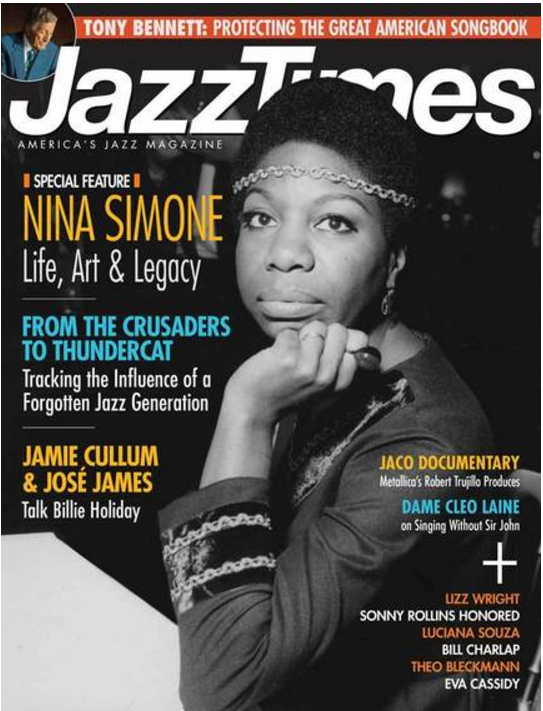 Regardless, the program is carried by over 50 NPR stations in the U.S. So there’s that. You can stream the program online here. This entry was posted in Uncategorized on December 20, 2015 by Sunrise Pixels. This entry was posted in Reviews on December 20, 2015 by Sunrise Pixels. 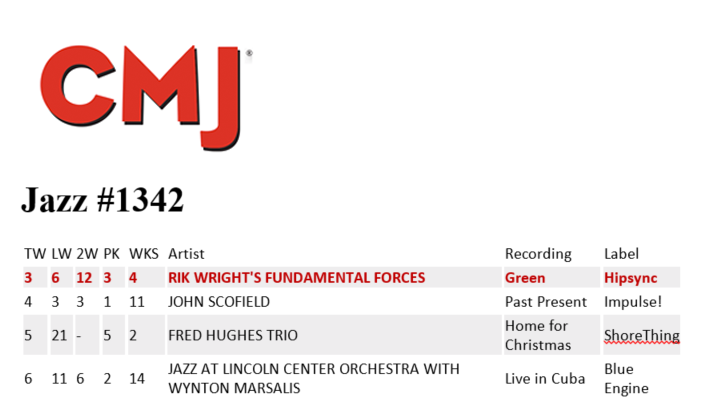 Our most recent recording “Green”, just hit #3 on the CMJ Jazz charts! In fact, it’s exactly one year after our last CD hit #1 on the same chart. What a way to end 2016. Happy Holidays to all! This entry was posted in Newsletter on December 16, 2015 by Sunrise Pixels. This entry was posted in Reviews on December 5, 2015 by Sunrise Pixels. We hit #6 this week, up 6 from last week when we were #12, which was up 11 from the week before when we were #23. That means lots of people outside of Seattle are hearing the new CD. In town we’re still playing to the same 30 people we know and love… no, I’m just kidding… a little bit. I mean to say, go out and support live music! This entry was posted in Uncategorized on December 3, 2015 by Sunrise Pixels.